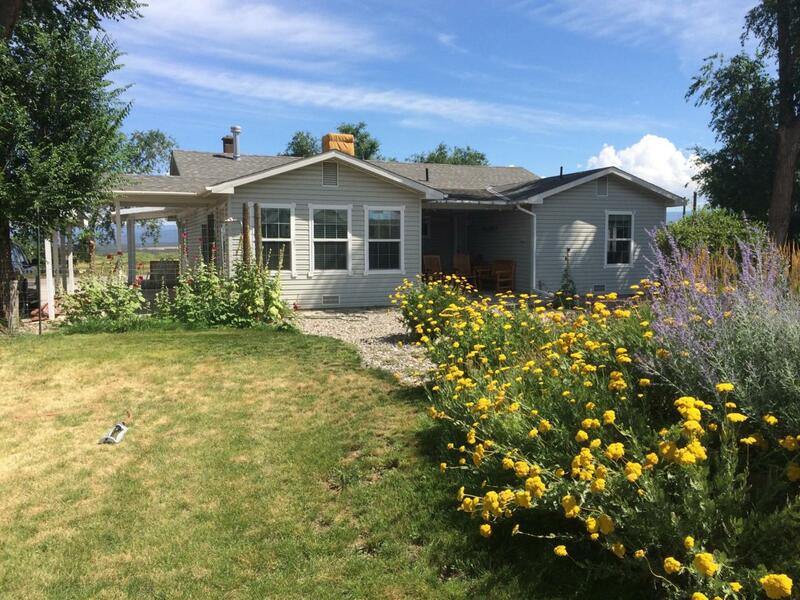 This is a very well maintained, three bedroom family home, a 1 hour drive from Telluride. It sits on a perfectly landscaped parcel, featuring large shady trees and a huge lawn, with a privacy fence. The property is located very near to CO 145, which provides easy access to all the amenities on the towns of Norwood, Telluride and Mountain Village. Redvale is located at the west end of San Miguel County on scenic Wrights Mesa at a lower elevation than Telluride, so, the climate is more temperate and ideal for gardening and outdoor living. This rural, yet convenient, property is a sportsman's paradise- hunting, mountain biking , four wheeling, rafting, kayaking, camping-- your choice! The mountains of the San Juans and the Canyonlands of Utah are only a short drive away. Listing provided courtesy of Jim Jennings of Coldwell Banker Distinctive Properties-Tell.